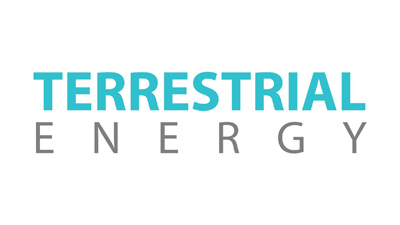 Terrestrial Energy has appointed Ray Johnson, former chief technology officer for Lockheed Martin, to its International Advisory Board, the company announced Wednesday. The International Advisory Board consists of industry leaders and former government officials including former U.S. Nuclear Regulatory Commission Commissioner Jeffrey Merrifield and Christine Whitman, the former administrator for the Environmental Protection Agency. "I have been following the development of (integral) molten salt reactor (IMSR) systems for many years," Johnson said. "In my view, Terrestrial Energy's technology is essential for global industry and for global security. I am thrilled now to be part of the project and to bring my 30 years of industrial experience and network to help advance IMSR technology to commercialization." Johnson has worked within industrial manufacturing and engineering for 30 years and holds a doctoral degree in electrical engineering from the Air Force Institute of Technology. Prior to serving as chief technology officer at Lockheed Martin, Johnson served as its senior vice president of Corporate Engineering, Technology and Operations. He also served as an officer in the U.S. Air Force for 12 years. Terrestrial Energy aims to be a top vendor of nuclear reactors on a global scale and to commercialize its IMSR technology, which is expected to deploy in 2024.